Getting married overseas doesn’t have to be complicated, in fact getting married in New Zealand is pretty straight forward! The New Zealand Internal Affairs website has heaps of information and your celebrant will guide you along the way. Without the legal paperwork, it’s just a pretty expensive party, right? Book a trip to Queenstown/Wanaka and do some hands on research, it’s amazing what you can get done in just a weekend! Take a day to scout out venues for your ceremony, reception and accommodation. Then, use day two to meet some local vendors such as photographers, caterers and celebrants. You could even book a hair and makeup trail too! Along the way you can discover your favourite coffee shop, sample local wines to serve on the big day, and get more of a feel for where things are and how to get around. 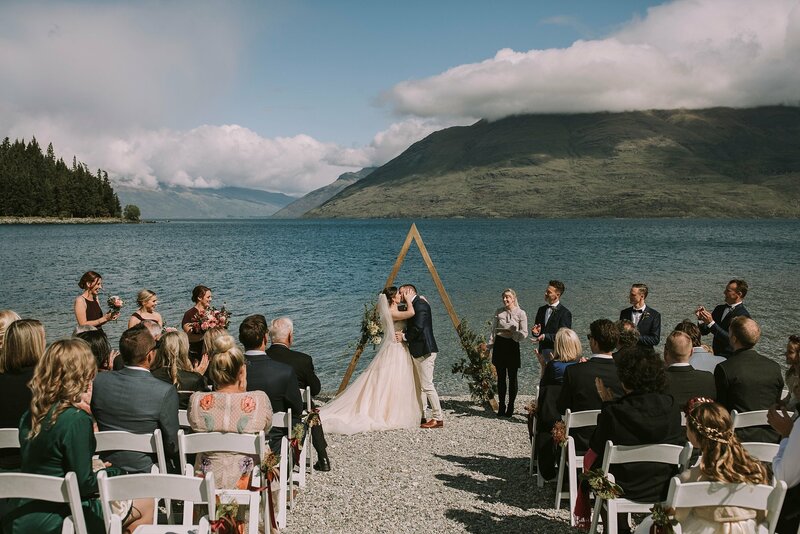 When you’re asking people to travel to Queenstown or Wanaka for your destination wedding, the more notice you can give them the better. Be prepared to accept that not all your guests will be able to attend. That being said, it’s amazing how many people come out of the wood work for a good wedding! Save yourselves from answering the same questions 100 times over by putting all the info they will need in one place online. They’ll want to know all the wedding details and logistics along with recommendations on accommodation, travel, eats & drinks, activities, etc. Don’t worry – we can help with ALL of this and give you our list of YBD Favourites! The money you spend for an extra pair of hands on deck effectively buys you more quality time with your partner and with your friends and family. This is why you’ve invited them all over here to celebrate right?! Save yourself some wedding stress and trust a local wedding planner or day-of coordinator to handle at least some of your wedding details. Note that some Queenstown wedding venues come with a designated wedding coordinator built into the pricing – bonus! 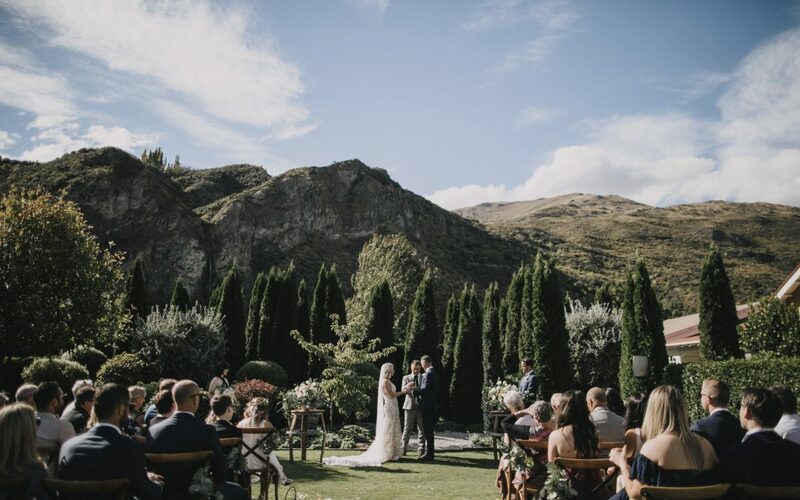 Give yourself a day or two in Queenstown or Wanaka prior to your wedding day. This allows you time to finalise any last minute details and have a wedding rehearsal on site if appropriate. But most importantly take some extra time to relax and enjoy yourself! The “off-season” is rapidly disappearing in Queenstown and Wanaka. Couples love the freshness of Spring, the warmth of Summer, the colours in Autumn and the snow in Winter. We love spontaneous elopements and “Hey, we’re coming down to Queenstown for a holiday next week and want to get married while we’re there” emails. And we do our best to accommodate every couple, but to avoid disappointment get in touch now and we can get your date locked in. If we've missed something important in this blog post we want you to tell us! !